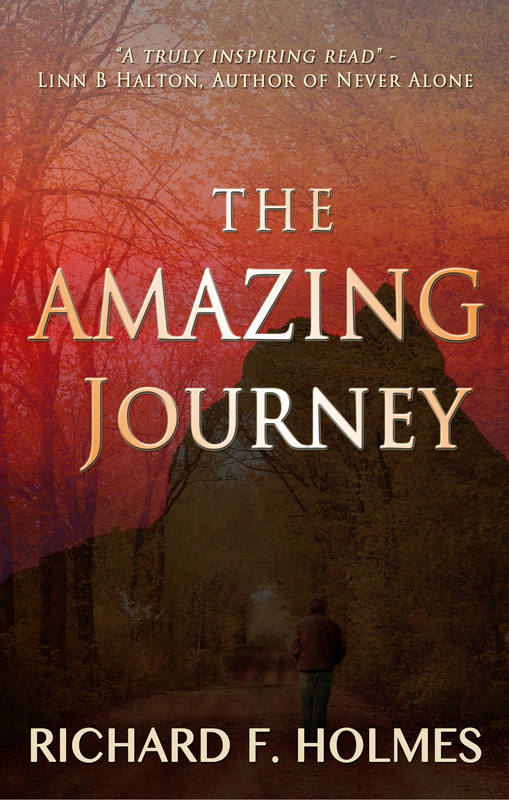 I’m pleased to announce that from 08:00 am on Monday 16 March to 08:00 am on Monday 23 March the kindle version of my book, The Amazing Journey, will be available for the special promotional price of £0.99 in the UK and $0.99 in the US. Below is the synopsis, a couple of extracts and the links to buy in amazon UK and US. Watch this space for more promotions soon. In 2000 my life hit rock bottom. Emotionally I was totally spent and did not see any way out of the mire that I found myself in. This book tells the story of how (with a little help) I managed to turn my life around. Miraculously at the onset of the new millennium I started to embark on a series of truly amazing out-of-body adventures, and as the years have gone by, I have learned to pass through solid objects, propel myself in whatever direction I wish to travel, and unbelievably, “will” myself back into my body when I become bored with the journey. As if that wasn’t incredible enough, I have also been blessed by the Avatar of the age himself, Sri Sathya Sai Baba, who first entered my life in 2001. Since then I have had a series of truly wonderous experiences with Baba, the highlights of which were being held in his arms during an out-of-body experience in 2006 and seeing him in physical form at his ashram, Prasanthi Nilayam (abode of the highest peace) in Puttaparthi, Southern India in October 2009. I was extremely tired and decided to have a lay down in the afternoon. I drifted off into a dream world and felt a very strong presence around me. I felt myself being lifted from my body and then I was moving at a great speed. My third eye became animated and I could see pictures of people and events flashing through my mind, although I couldn’t recount anything specific. I then realised that I wasn’t being taken anywhere in particular. Instead my companion appeared to be giving me some kind of spiritual healing. We were still moving but I could feel the soul’s hands on me and the terrific energy coming from them. This was once again something new and extremely unique for me to experience. The energy was nothing like I’d ever experienced before. I then felt myself returning to my body and when I opened my eyes it was 2:05 p.m.
At some stage, I really can’t remember when, I’d started having strange experiences during the night. I either dismissed these experiences as dreams or tried to convince myself that they simply hadn’t happened. One of the earliest that remains really vivid to this day was when I found myself travelling through the air at a terrific speed. It was quite dark and I found myself heading towards trees. It was a very hairy experience. I braced myself waiting for the impact, convinced I was going to get impaled on the branches. I was amazed when I realised I was simply flying through them as though they were not there. This entry was posted in General and tagged astral adventures, astral experiences, astral travelling, out of body experiences, out-of-body, special promotion, The Amazing Journey by Bloggin With Rich. Bookmark the permalink. Would be great to talk to you at some time, Richard…I went through so much myself a few years ago and can’t really discuss with anyone (I find the ‘glazed eye’ difficult to cope with!) In my seventies now–dealing with issues…not least ‘the big ‘C’ but doing positive! Love and light, Val Pollard. Thanks for stopping by Valerie. Where are you in the world? I’m working not that far from you in the near future. Tomorrow night at Gloucester First Spiritualist Church in Mountpellier, Gloucester. April 19 Rockfield, Monmouth and April 26 Hereford.